The Mini Lumia is packed with big specs and with today prices it is a great option to enjoy Windows Phone 8. I have a weird relationship with smartphones. I have used a lot of different ones in the past two years: Blackberry, Windows Phone 7.5, Windows Phone 8, WebOS, iOS, and of course Android. I’ve never had a full satisfactory experience with a phone, but the most enjoyable was without a doubt my HP Pre3 WebOS, and I also had a great time with Blackberry 7 (due to a great email service...but not for browsing). For me there are two important things about a phone: The build quality (design etc....) and the OS. We all know Nokia is betting a lot with the Windows Phone platform and they are launching more and more devices for Windows Phone 8 - so things are not so bad after all! Last winter I used for 3 months the Nokia Lumia 820. Wait...do you remember the Lumia 820? Yes it’s the one that is never mentioned anywhere! Everybody is talking about the great picture quality of the 920 (in low light especially), the slim and stylish 925, the amazing zoom of the 1020, the great sales of the 620, the beautiful design of the 720, and the excellent value for money of the 520.....but what about the 820? Let’s see....okay....nothing there...wait for it.....just a moment.... should I search now in Google? Well I didn’t find anything actually, the only thing I know is that it is my phone! And I have a very special relationship with it. Sometimes I love it, often I hate it but I really don’t care because I think it’s not really his fault...it’s the OS fault. When you look with your eyes and touch with your hands, the Nokia Lumia 820 is a nice and well built phone. It’s actually very stylish. It is for sure on the heavy side but it’s very sturdy on the hand, and it feels nice. It is plastic but not like Samsung (no offence here..but not a fan!). 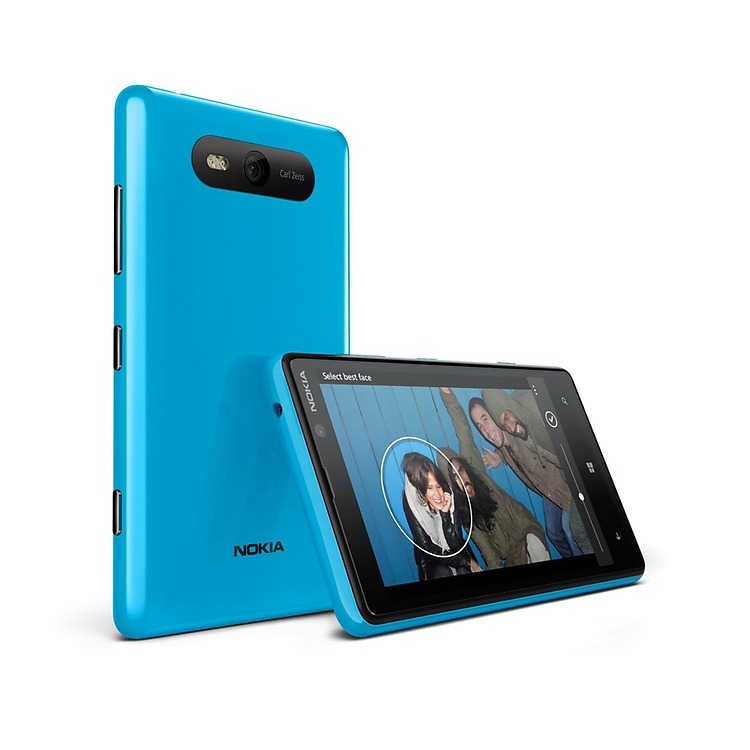 One of the great features of the Nokia Lumia 820 is that you can change the back covers (there are a great variety of colours available), you can even get wireless charging covers which is a nice touch from Nokia. When you push the on/off button, you will be pleasantly surprised. There is no Super HD-Super Amoled-Retina display here, but this is actually a very nice and vibrant display. I think it does a great job with a colorful platform such as Windows Phone 8. The touchscreen is great, but there is a but...a huge BUT - it’s not gorrilla glass...so beware of the scratch. And believe me...it is very easy to scratch the screen of this phone. Another important aspect for me is the speaker. A smartphone (and a tablet of course) MUST have great speakers. But unfortunately this is not often the case. Look at the Sony Xperia Z: a huge phone, great camera, great full HD screen and poor/extremely poor speakers. In that aspect I always found that Blackberry had very good speakers on their phones. So what about the Nokia Lumia 820 speakers? You know the song ‘It’s not right but it’s OK!’. You can watch Youtube (of course with 3rd app because it is clear Google doesn’t want a Youtube app on Windows Phone) and you will enjoy a good viewing experience. This is not a huge phone (like the Note II) but it is actually a good size. It is portable, and well built. I am going to talk about the camera at the end but now I want to give my views on Windows Phone 8 OS. How can I explain? It’s beautifully frustrating! Even if you are not a fan of live tiles, you can’t fault the design of the OS. It is in my opinion the best design around. And I am not the only one to agree with that...look at Apple. The new design of iOS7 is largely inspired by Windows Phone 8. I am sure you have spent some time watching reviews on Youtube, and each of the reviewers mention how snappy WP 8 is. You can see them playing with the home screen, scrolling up and down, go to the right and left...and yes it is lag free. But as soon as you push an icon app it is a different story. The 820 is fast so it opens an app easily (well sort of) but I had the 620 for two weeks and I noticed a lot how slow it was. Yes Microsoft and Nokia, I think each phone needs a minimum of 1GB ram ..whatever you say. So luckily for me the Lumia 820 hasn’t got this problem. But where I find WP 8 extremely frustrating is with the design of the apps. Too much time wasted scrolling up and down, or left-right. It’s non stop. For me with an Android or iOS phone if you want to go from A to C, you do A to B then C - that’s logical. But with WP8 I found that to reach C I have to do: A to B to F to G to L to Z and finally to C. It is extremely frustrating! The browser is very good but you are limited to Internet Explorer. This is not a bad browser at all, but sometimes it is nice to have the possibilty to use others. The App Store is growing step by step. If you use Gmail or Google apps as I do, let’s say that WP 8 is not great. In my opinion the other apps are not excellent, like Facebook. I am not sure about that one. I receive notifications 2 days later which I find it a bit annoying. The Ebay app is not user friendly and very often it shows that I don’t have any Active Listings. So that can be extremely frustrating too. Thank goodness Nokia is here and has created great Apps for Lumia. Nokia music is a very good way to listen to free music, Nokia drive and many more apps are excellent too. Nokia Job Lens is one of the latest apps of the Finnish brand. It looks very good but it is not available here just yet. Nokia has amazing apps and I think that’s the reason why they are selling much more WP 8 devices than HTC or Samsung. So my Apps experience on the Microsoft platform is so-so. And definitely Nokia bring the best with their Lumia applications. And now it is time to mention the camera. If Nokia is well known for something it’s for the quality of their cameras. So I wonder what the #@$? they did with the Lumia 820 camera? Low light pictures...not good at all. Daylight camera is OK but slow, so you can’t really take pictures of your kids because the camera is too slow. The panorama lens is a nice features. Here you can see a pictures that I took recently with the Lumia 820. Should you buy the Lumia 820? The Lumia 820 is now an affordable device and perform better than the Lumia 520, Lumia 620 and Lumia 720. You can find yourself a good deal on Amazon. In my opinion Windows Phone 8 needs 1GB of ram to perform well, so you won't be disappointed by the overall performance of this device. Buy the Nokia Lumia 820 Sim Free.